The year 2013 jolted California’s education system. Seismic shifts in school finance, standards, curriculum, and instruction sent shockwaves through our state’s education policy landscape.Long-familiar landmarks such as revenue limits, categorical programs, and STAR assessments were replaced by a host of new initiatives with acronyms that Californians are starting to become familiar with, including the Local Control Funding Formula (LCFF), the Smarter Balanced Assessments Consortium (SBAC), the Common Core State Standards (CCSS), and the Next Generation Science Standards (NGSS). In advance of the release of our 2014 Policy Agenda later this month, our 2013 Policy Agenda is available here for you to review. Many of these new initiatives fall into areas we have already been working in. 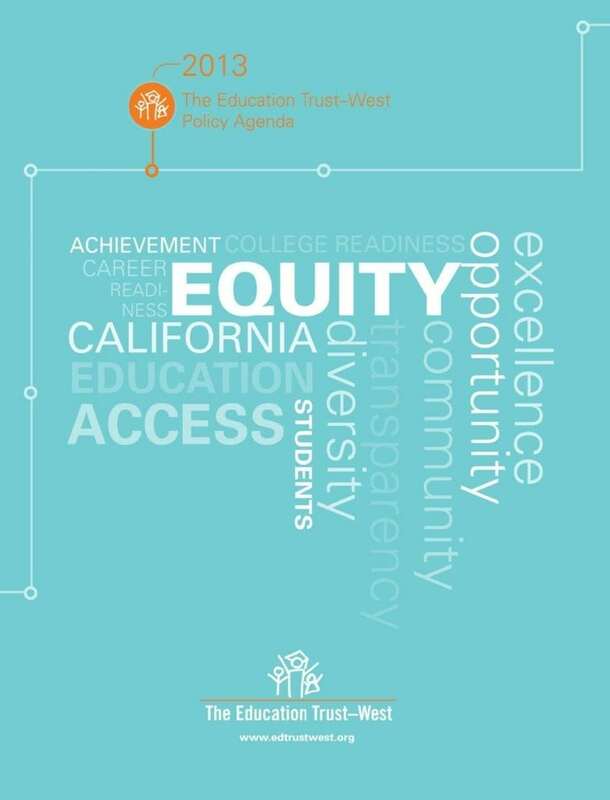 The changes that were made have the potential to shift California’s education landscape towards equity and to help close our state’s achievement and opportunity gaps; however, we also know that without close attention to equitable implementation, these initiatives could widen existing gaps and create fissures between our highest need students and their more advantaged peers.